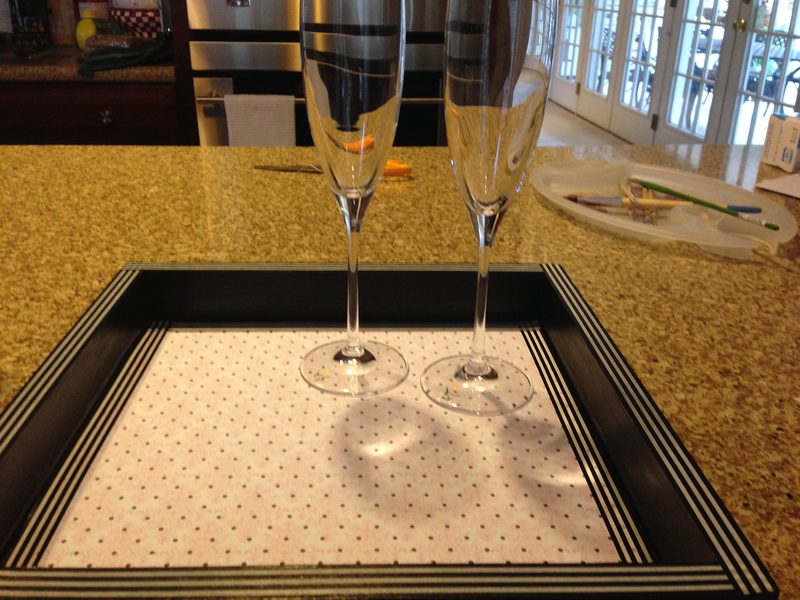 I made this easy-to-do tray as a bridal shower decoration and as a gift for the bride-to-be. If you squint just right, you might not be able to see the crapsmanship that went into its making! CRAP ALERT: My first error was in not getting a full photo gallery of my technique, but I don’t think the blog post will be harmed without a full visual explanation.